The holidays are a great time to relax and enjoy the company of family and friends; however, gift giving can be a source of stress and anxiety this time of year. Everyone wants his/her gifts to come across as tasteful, original and thoughtful, so lots of time is spent worrying over the perfect gift. 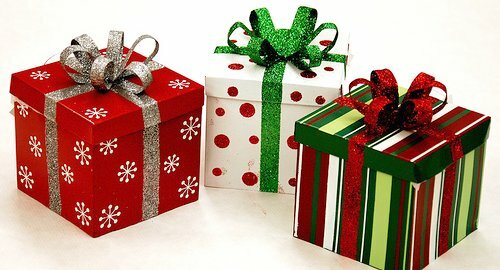 To lessen the stress, here are a few tips and ideas for giving unique and meaningful gifts. Be sure to remember that the spirit of giving is what matters most! Think about the recipient’s interests and hobbies before you shop and really take the time to listen to people as they may hint at what they want when you least expect it. Shop early and even online to get the best prices and eliminate the stress of the last-minute rush (along with everyone else who left it to the last minute). Buy gifts as you see them. If you’re out grocery shopping and come across the perfect holiday gift for someone, purchase it right then and there! Avoid purchasing clothes for someone, unless you’re certain of his/her taste. Stick to gift certificates! Arrange a gift basket filled with local treats (i.e. wine from a Northern Virginia winery, Virginia peanuts, Virginia ham, local fruits, honey, jams and sauces, etc). Kids will especially enjoy a trip to an ice skating rink and getting hot chocolate! Get into the holiday spirit and give the gift of giving by donating to a charity in the recipient’s name or volunteering together. For a more comprehensive list of charitable organizations, visit our web post on local volunteer and donation opportunities. For last minute parties and the one or two people you forgot to include on your list, purchase extra small gifts such as those listed below!